My particular interest is in organizing and controlling the physical stuff in my house. 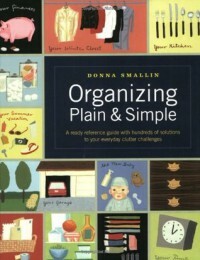 This book covered that, but also organizing your finances, your time, your family, etc. Because of that, much of the book will only pertain to people in specific circumstances - my children are all grown now, for instance, so all the advice about organizing info about the family activities was no longer relevant. And, if you already have your finances under basic control, there's nothing new or exciting here. Overall, though, all the advice seems reasonably sound and sensible. Definitely a book to get from the library and check out the sections that pertain and gather useful tips. It's not a book that I would buy to keep around as a reference work, though.